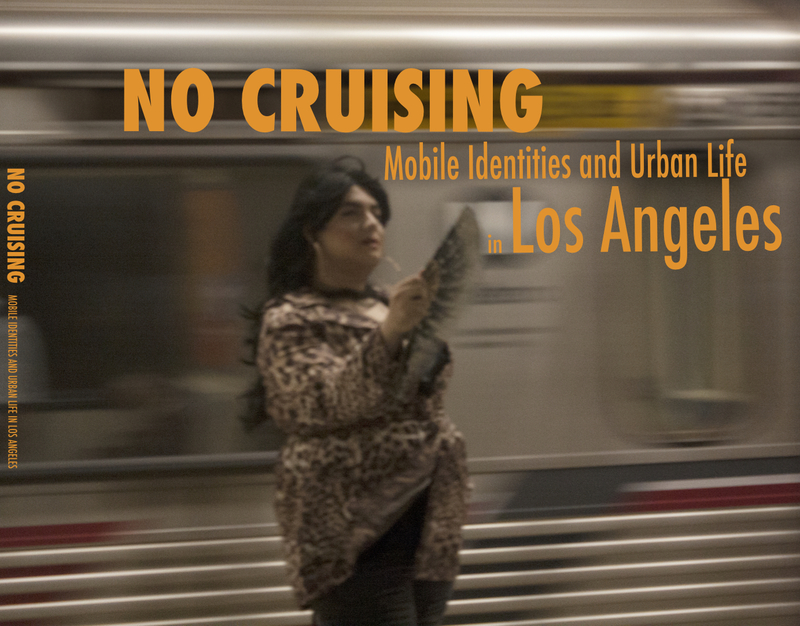 The first Global Urban Humanities research studio, “No Cruising: Mobile Identities and Urban Life” took place in Spring of 2014, co-taught by Margaret Crawford (Architecture) and Anne Walsh (Art Practice). With six PhD students, three MFA candidates, and one undergraduate student from a diverse set of disciplinary backgrounds, the course took on Los Angeles and the multiple themes generated by the concept of mobility (and its inverse: immobility). Over the course of the semester, students visited LA multiple times and explored the city via car, bus, light rail, walking, and running, focusing on the circulation of bodies, stories, designed forms, performance, identities, labor, opportunities, and relationships. 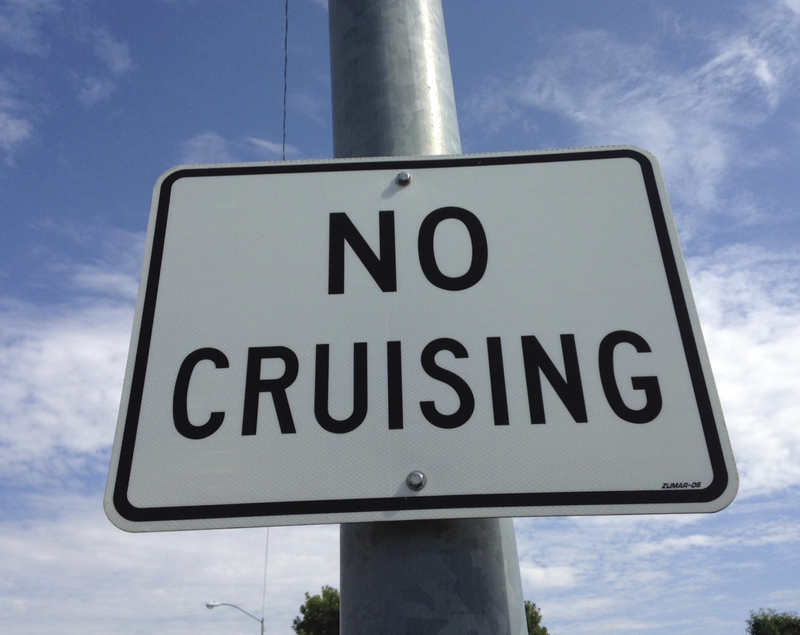 Out of the studio comes a new publication documenting these projects, also titled No Cruising. 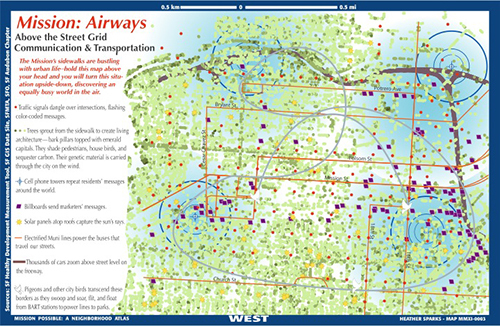 Student essays are accompanied by rich images of urban life, archival materials, and maps that reflect the social, political, cultural, and environmental histories that shape current experiences of movement and entrapment within the city infrastructure. 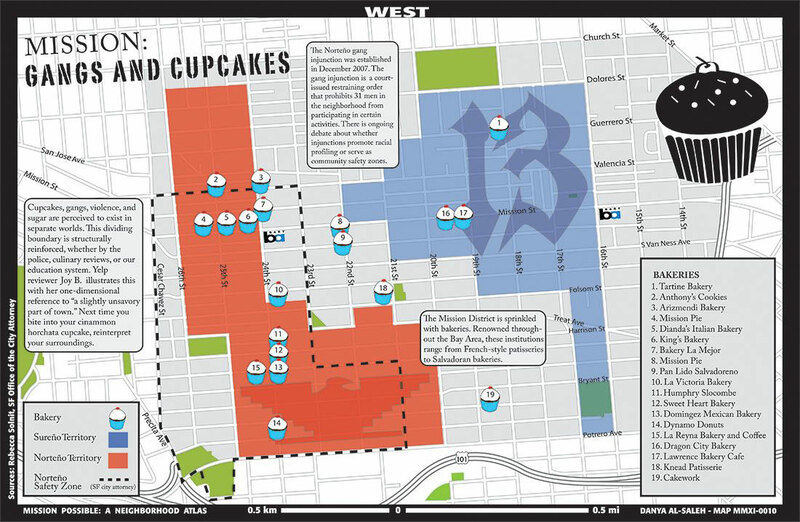 These projects upend dominant myths of the city (spoiler alert: people do walk!) and disturb established spatial arrangements through performance and imagined design. As the faculty advisors write in their introduction, “The No Cruising projects address human agency–transit activists, artists and gallerists, teenage drag queens, and Midwestern, Mexican, and Taiwanese immigrants–as well as monumental forms like the Watts towers and palm trees, and finally the expressions of invisible but potent agents such as seismic and spiritual force fields.” This beautiful publication weaves together distinct experiences across a landscape, offering readers a chance to dive into the many complex threads that make up life in this iconic city. Moffat presented on The Atlas of the Albany Bulb, her oral history and mapping project about a landfill on the eastern shore of San Francisco Bay, which has been the location of bitter battles between people holding different notions of the proper uses of public space, and of what a park should be. 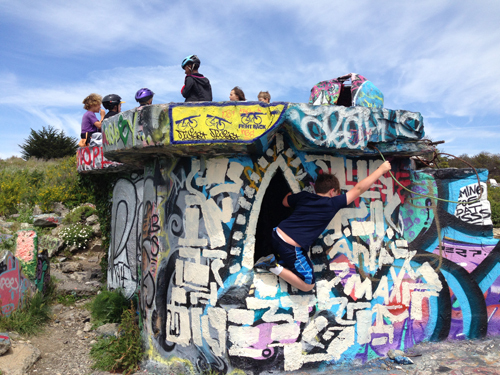 The Albany Bulb is not on everyone’s mental map. As a Bay Area native, I had never heard of it before enrolling here at UC Berkeley where it has acquired a certain long-standing focus of attention being at the confluence of heated local politics and bay-side ecological, preservation, recreation priorities. Susan Moffat’s lecture on the Bulb begins with the statement: the Bay is young. This is true, though it predates our familiar European settlement patterns by several thousand years, yet those same settlement patterns effectively continue the process of creating the Bay. The Bulb is made of “fill” which, as we explored, is a generic name for a wide array of potential conditions affecting formerly open water or marsh space. “Fill,” as an idea, can also explode into a tangle of legal intentions too, but the fact beneath all this is that the Bulb is comprised of different elements from disparate places; be they disassembled, scooped, broken, accumulated or dredged, they have formed this small peninsula in an accretionary process. As the Bulb was not here during the Bay’s infancy, nor here even one hundred years ago, and will likely not be here a century into the future due to predicted sea level rise, it can only be understood in section as a temporarily physical story of layers, mostly manmade. It seems acutely ironic, in this case, that the actual human element living upon and adding to these layerings are now being required to leave. The Bulb and its former residents/occupants should not be thought of as obligated to create a place that is comfortable for absolutely everyone. The former residents/occupants slowly overtook the available space and paths on the Bulb; therefore, regulating the shared qualities of the place became a problem. These two opposing stances illustrate the root of the schism leading to increased levels of control at the Bulb, and ultimately the conversion to official park space, purportedly the most democratic, all-serving possibility. But I would challenge that the traditional idea of democratic park (design and management) might be able to take on a different strategy if it refocused on this idea of ephemerality embodied in the land of the Bulb itself. In Rubble: the Afterlife of Destruction, Gastón R. Gordillo examines a wide array of pileups from past forces of capital acting upon the Chaca region of Argentina. 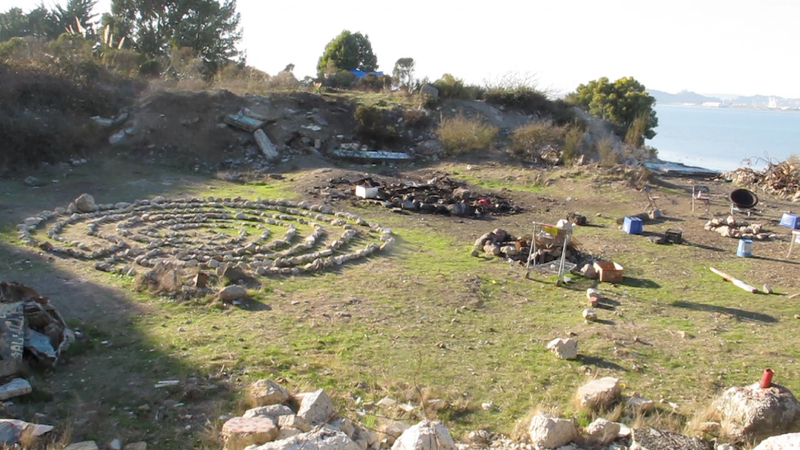 While taking care to decouple the idea of “rubble” from the cleansed idea of “ruin,” Gordillo illuminates a continuum of accumulation from crumbling churches to abandoned infrastructure to buried bones of past massacres to memories of native lifeways built into the identities of the Gaucho culture of the territory. It seems that if this sort of wide-angled view were taken of the Bulb, accepting of its multi-layered temporality, and this view could then expand the concept of “park,” then the comments above might cease to be opposing. The idea of “fill” could then become more culturally accurate, and the idea of “park” could be young once again, like the Bay itself, before folding in as yet another layer of this transitory and charged place. Susan Moffat, project director of the Global Urban Humanities Initiative at UC Berkeley, presented an overview of the politics and history of Albany Bulb this past week through her work, The Atlas of the Albany Bulb-- an oral history and mapping project of the Bulb and the community formed on the repurposed Bay fill landscape. The complex rhetoric framing the site’s interweaving cultural and natural landscapes sheds light on the deeply emotional conflict over open space management and the displacement of the Bulb’s temporary residents. In order to thoughtfully delve into the politics of the contested Albany Bulb, we must reflect on the impact of overarching competing Bay Area narratives by environmentalists, social justice activists and bohemians. All of these are juxtaposed to expose a lack of intersecting discourses addressing these landscape typologies embedded with conceptions of divergent cultural and ecological meaning. Therefore, our contemporary activists are without the necessary toolkits to address both the aesthetics of and access to “wilderness” within the region, as well as the politics of representation in such landscapes. This spurs self-critique--are we a progressive region accepting of hybrid landscapes of “wilderness” and diverse groups of people, or are we only comfortable within our own homogeneous niches? Must we feel comfortable in every context and with all groups of people and types of environments? If that’s not necessary, must we still continue to intensify the stark binaries of such environments, or can we acknowledge and respect the proclaimed multicultural, ecologically diverse landscapes that comprise the Bay Area? Alana MacWhorter is a graduate student at the UC Berkeley College of Environmental Design working toward a joint degree in Landscape Architecture and Urban Design.